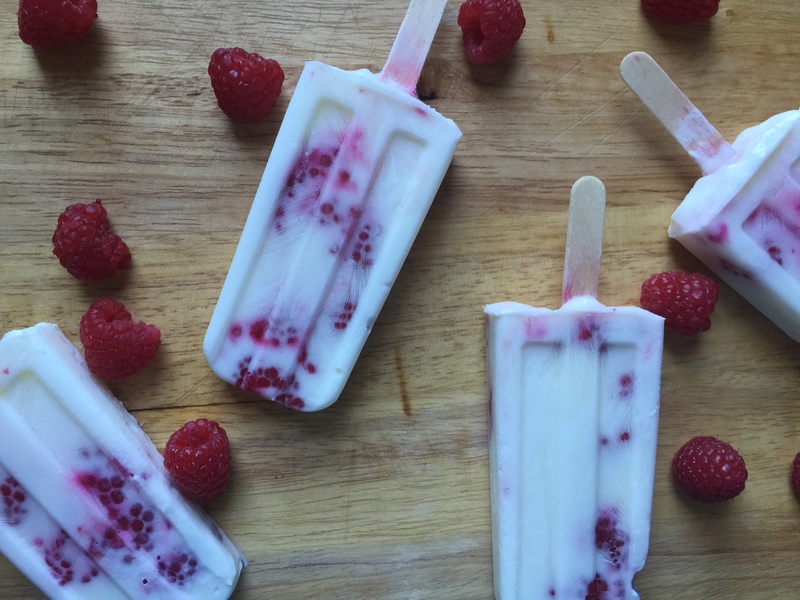 A perfect cooling & creamy after school snack during this last bit of summer heat. 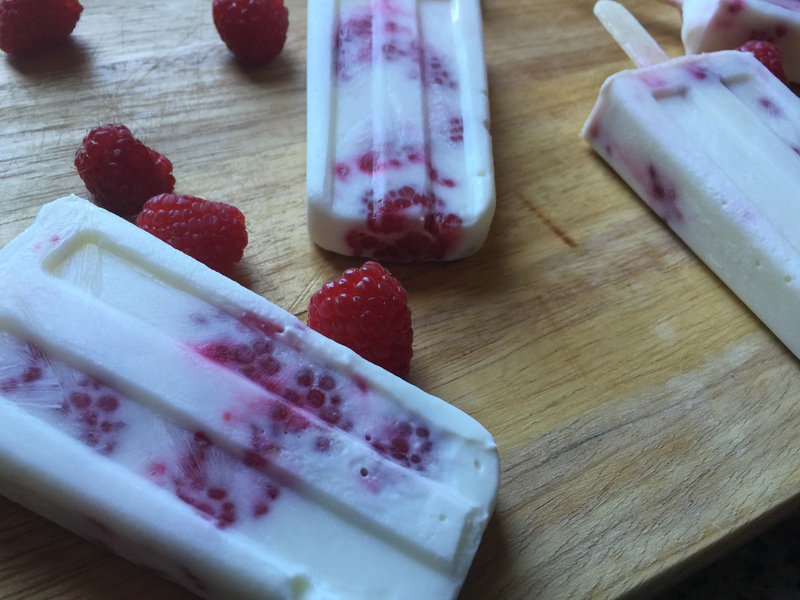 Not only can this treat cool you off, but it can also serve as a great workout recovery snack because of its sugars from the fruit and also from the protein from the Greek yogurt. 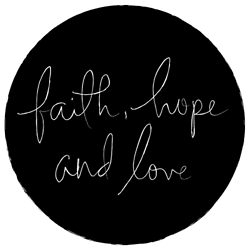 Double whammy! 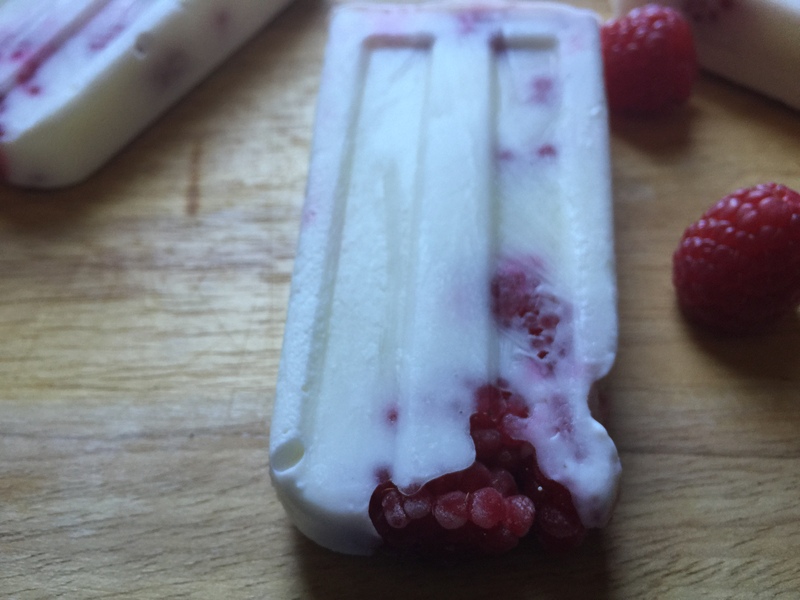 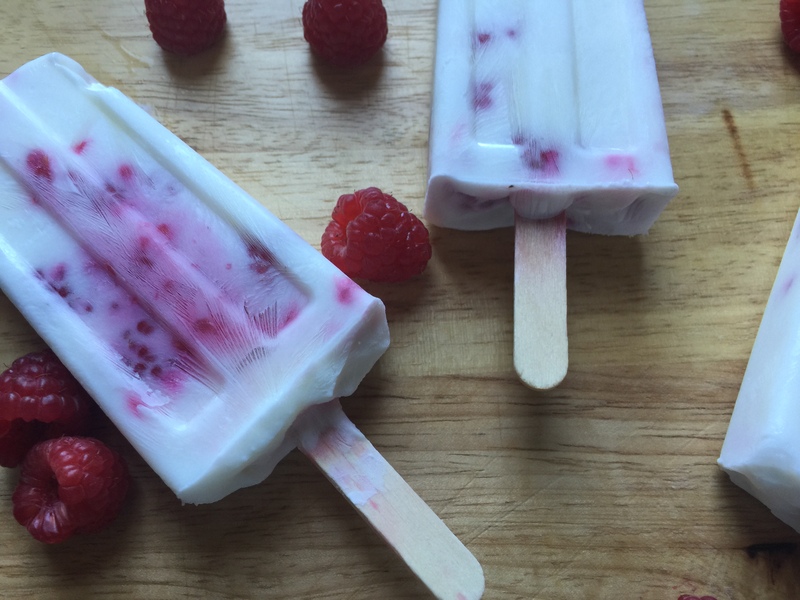 In a popsicle tray [AF Link], Scoop in the greek yogurt adding as many raspberries as you would like.